The Nokia 110(shown below)and Nokia 112(shown above) are targeted for emerging markets in Asia and Africa. These models runs on Symbian S40 OS and has a rear VGA camera, also memory can be expandable upto 32GB using microSD card slot. Connectivity options includes GSM, GPRS and EDGE. 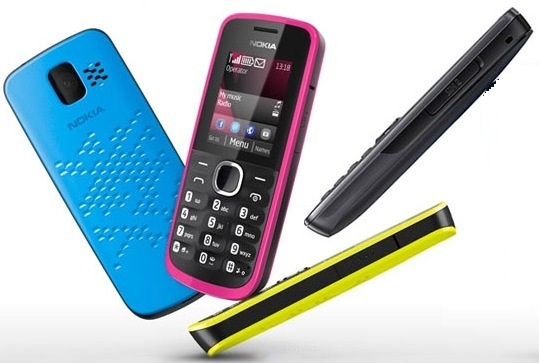 The Nokia 112 comes with a 1400 mAh battery which offers 14 hours talktime and 35 days of standby, while the Nokia 110 features a 1020 mAh battery which offers 10.5 hours talktime and 26.5 days of standby. Both devices come with exclusive bundle of 40 games from EA, Nokia Browser with compression technology which reduces data consumption up to 90%, saving time and data costs. The EA games will be downloadable from Nokia Store through an icon pre-loaded on the phones. Nokia’s unique Easy Swap technology allowing for a fast switch without opening up the phone between sim's. The phone remembers personalisation details from up to five different SIM cards. 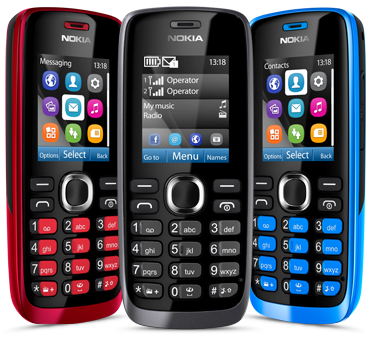 The Nokia 110 will be available from Q2 2012 and it comes with a price tag of 35 EUR (Rs.2400 INR approx/-). The Nokia 112 will be available from Q3 2012 and it comes with a price tag of 38 EUR ( Rs. 2600 INR approx/-). Nokia has future plans to come up with successors of this in single SIM category as Nokia 111 and Nokia 113 later. Tags: budget phones, Nokia, Nokia 110, Nokia 112, Nokia 111, Nokia 113, Nokia 110 features, Nokia 110 specifications, Nokia 110 review, Nokia 110 details, Nokia 110 availability, Nokia 110 specs, Nokia 110 images, Nokia 110 pics, Nokia 110 pictures, Nokia 110 price, Nokia 112 features, Nokia 112 specifications, Nokia 112 review, Nokia 112 details, Nokia 112 availability, Nokia 112 specs, Nokia 112 images, Nokia 112 pics, Nokia 112 pictures, Nokia 112 price, dual SIM mobile phones.